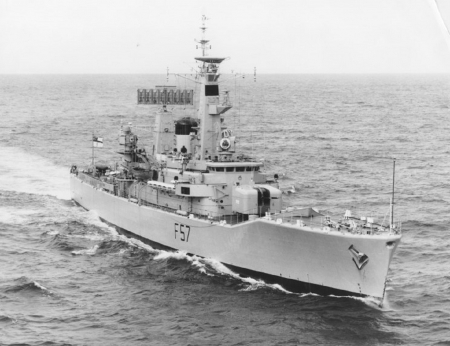 HMS Andromeda was a Batch 3 "broad-beamed" Leander-class frigate of the Royal Navy. She was built at HM Dockyard Portsmouth, the last ship to be built there. She was launched on 24 May 1967 and commissioned into the Royal Navy on 2 December 1968. She took part in the Falklands War and was sold to India in 1995, for use as a training ship, being renamed INS Krishna. She was finally decommissioned in May 2012. JOHNBECK Uploaded by JOHNBECK on Jul 15, 2018 . WORLD OF WARSHIPS HMS ANDROMEDA F 57 - Desktop Nexus Boats Download free wallpapers and background images: WORLD OF WARSHIPS HMS ANDROMEDA F 57. Desktop Nexus Boats background ID 2400599. HMS Andromeda was a Batch 3 "broad-beamed" Leander-class frigate of the Royal Navy. She was built at HM Dockyard Portsmouth, the last ship to be built there. She was launched on 24 May 1967 and commissioned into the Royal Navy on 2 December 1968. She took part in the Falklands War and was sold to India in 1995, for use as a training ship, being renamed INS Krishna. She was finally decommissioned in May 2012.